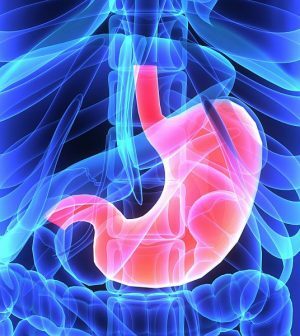 An expandable pill that can stay in the stomach for a month could help diagnose and monitor a myriad of gastro ills, a new study in pigs suggests. The pill has a Jell-O-like consistency. Once it reaches the stomach, it quickly swells to the size of a ping-pong ball and is resistant to the stomach’s roiling acidic environment, according to the Massachusetts Institute of Technology (MIT) team. For the study, the researchers embedded small temperature sensors into several pills that were fed to pigs, which have stomachs and gastrointestinal tracts very similar to humans. After retrieving the sensors from the pigs’ stool, the investigators found that they accurately tracked the pigs’ daily activity patterns for up to 30 days. However, animal research does not always pan out in humans. The pill is made from two types of hydrogels — mixtures of polymers and water — making it softer and longer-lasting than current ingestible sensors, which either are only able to remain in the stomach for few days, or are made from hard plastics or metals that are much stiffer than the gastrointestinal tract. “The dream is to have a Jell-O-like smart pill, that once swallowed stays in the stomach and monitors the patient’s health for a long time, such as a month,” said researcher Xuanhe Zhao, an associate professor of mechanical engineering at MIT. The pill might even offer a safer, more comfortable alternative to the gastric balloon, a form of weight control in which a balloon is inserted through a patient’s esophagus and into the stomach.